Yiwu bikes are also called bicycle,usually used by foot ,is also called green vehicle.bi in bicycle or bike represents two,and cycle represents wheel.it is very popular among young people,bike is a traditional industry,because of environment protection and the transport,bike has become more and more popular ,especially in improving country.In Yiwu,you may see many people ride bike to work or to go to school. 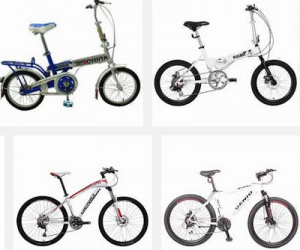 In 2012,yiwu hold bicycle and some car accessories exhibition( Wholesale Autos & Motors).Yiwu bike will face the world.Yiwu is a city built on market of bicycle, recreational vehicles, electric vehicles, motorcycles and parts of international and domestic procurement atmosphere has been formed, wait for the enterprise to seize the international trade opportunities, plays a central role in Global trade flows. Welcome to Yiwu market visit the bike exhibition .